I have just returned from a volunteering trip to Ghana. I went to share my skills and passion by helping to teach in a music school in the city of Takoradi. I found students who shared my passion for music, and who deeply valued the opportunity for music training. I found students who might not have their own instruments, so who came into the school several times a week for lessons, and who then stayed for hours to continue practising. I found single-minded purpose which kept them at their tasks and ensured success. 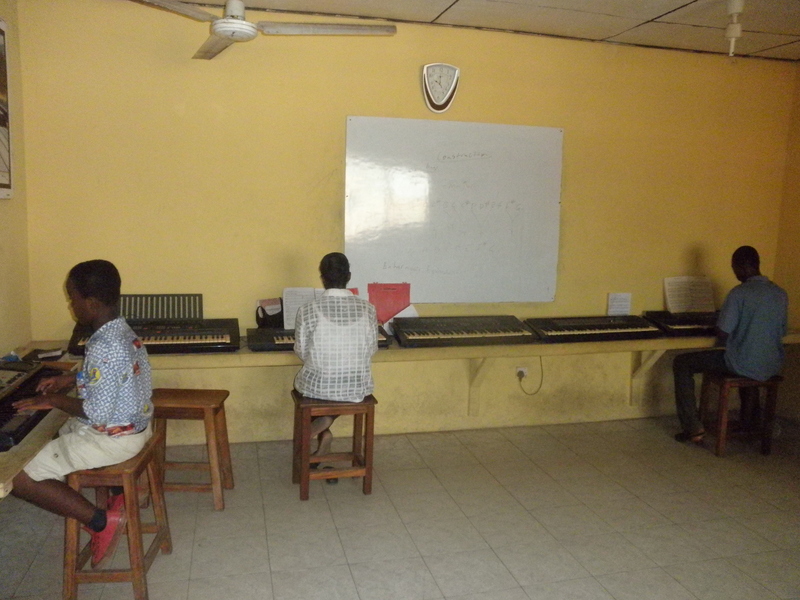 Most keyboard students were learning with the aim to be able to play organ for church services. One student I taught had been learning for only two weeks when I arrived, and when I left two weeks later, was already playing simple hymn tunes hands separately. To me this was amazing. Hymn tunes are in four parts and can be a challenge to a beginner, but as this was his goal, the student was working towards it with no hesitation. How can I translate this experience for our use in Sydney? I guess what we can take from this is to have some purpose, some reason, and some goal, which will keep us motivated and working towards a particular achievement. This could be an exam, a concert, or something as simple as being able to play our favourite film music successfully. I encourage all of my students to appreciate what opportunity they have at their fingertips, and put to good use the times they spend in their lessons, and the private practice times that they need to carve out in order to excellently achieve their goals. I hope that with my help they can find a goal, a genre, a piece that will excite them enough to focus on the end product and push through the work necessary to achieve this final result!